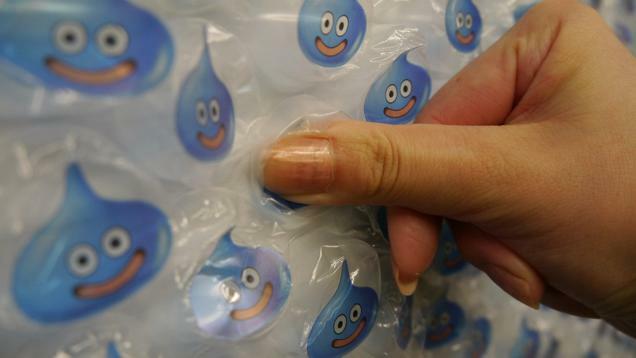 Dragon Quest Bubble Wrap – Most Addicting Thing Ever? Japan’s love for Dragon Quest is well documented. It is the game that put Enix on the map and the franchise that has enjoyed more success in Japan than even its Square counter-part, Final Fantasy. So what happens when you pair Dragon Quest with the most addictive oddity in human history, bubble wrap? Japanese citizens who have no choice but to be drawn like moths to a flame. Displayed at the incredibly busy Shinjuku train station, Square-Enix created a bubble wrap medium ad for Dragon Quest Heroes, which launches this week in Japan. The have been spectacularly engaging, drawing young and old to defeat the bubble wrapped slimes that cover the wall. 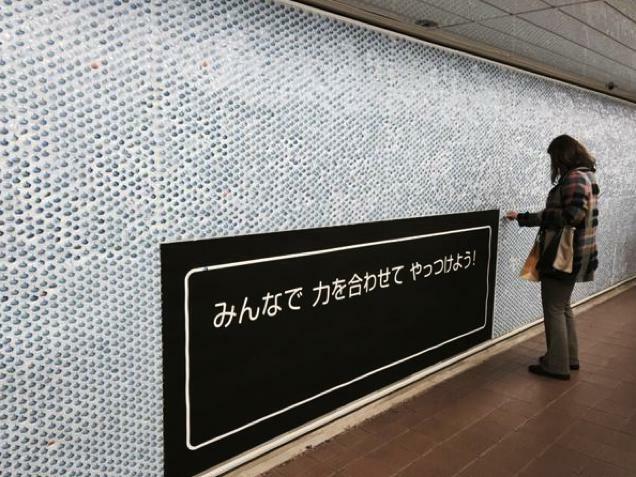 The ad reads “みんなで力を合わせてやっつけよ” which translates roughly to “The combined power of everyone will defeat” or “With everyone’s power combined we will defeat our foes.” Or something to that effect. There are several messages encouraging passers-by to partake in the never ending battle between adorable blue slimes. It’s a pretty cool ad for a game that franchise that doesn’t need a ton of marketing. Dragon Quest has a far reaching popularity, with many noteworthy celebrities appreciating the franchise, including famed baseball player Ichiro Suzuki. 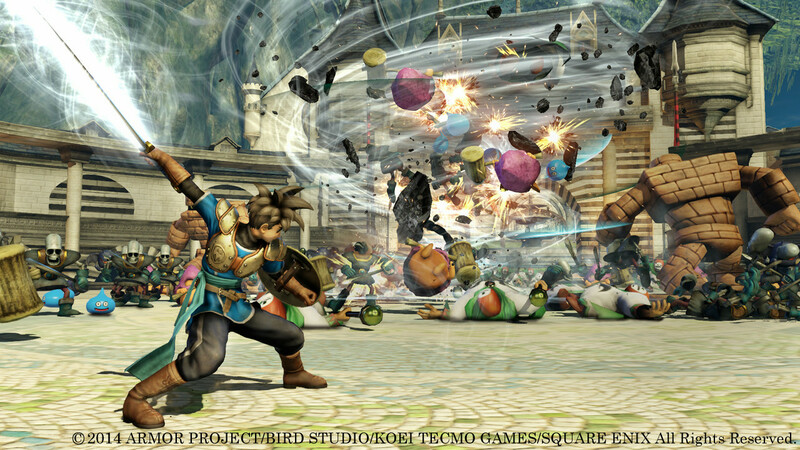 Dragon Quest Heroes is a spin-off iteration of Dragon Quest, this time taking an action-RPG approach to the classic turn-based RPG. 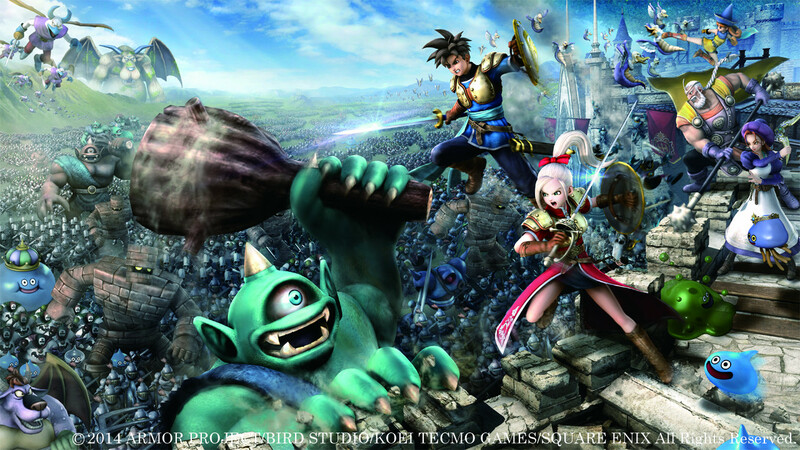 Developed by Omega Force, the team responsible for the Musou/Dynasty Warriors franchise, Dragon Quest Heroes draws heavily from this style of game, which is also very popular in Japan. The game has yet to be announced for western audiences, as both Dragon Quest and Musou-style games have a more niche popularity in the west. Also there is no word on whether viral bubble wrap marketing will go international.